Posted August 12th, 2018 at 10:10 AM (CST) by Bill Holter & filed under Bill Holter. 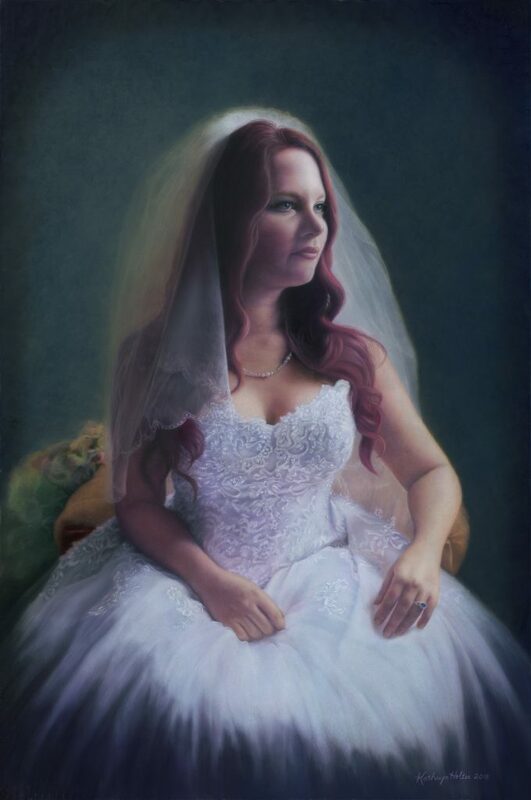 This is Kathryn’s latest bridal portrait, her other work can be found on kathrynholter.com. It is a 24×36 pastel and took her over 6 months to complete. I am obviously biased but the detail and 3D depth on this one qualifies as a masterpiece! She would truly love to paint FLOTUS if anyone has a connection?